Police investigating the murder of Milly Dowler say they have not been able to match DNA samples to those taken from men in Sunderland. The DNA had been found on an item in the 13-year-old's bedroom, and was matched to a sample found by chance at the scene of a burglary at St Paul's Church, Ryhope, near Sunderland. Detectives from Operation Ruby will now travel to the North East to liaise with local police. A spokesman for Surrey Police said the force was "disappointed" not to have found a match for the sample found on Milly's clothing. Officers from Surrey Police took DNA swabs from 46 male worshippers and people linked to St Paul's Church in Ryhope in January, to see if the sample came from one of them. The Wearside sample, found on a coffee cup at the church in October 2002 after the burglary, was tested at the Forensic Science Service. A spokesman for Surrey Police said: "We will be going back to Sunderland within the next week to talk to local police there and pursue this line of inquiry. "Whether that involves further swabbing we do not know at the moment, but it is a possibility." The spokesman said officers still thought it was "unlikely" the DNA sample would lead to a suspect in the case. "We have said all along that we do not think it is a big breakthrough in the case. "We think it is just a strange coincidence that we need to get to the bottom of, but we do not believe it is going to lead us to a suspect in the case." The DNA did not belong to those responsible for the burglary and was fed into a national computer database of samples taken from crimes across the country. 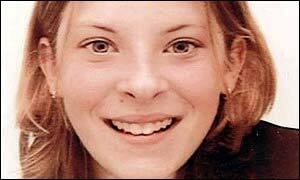 Database experts then spotted the match with samples from the Milly Dowler case. The item of clothing belonging to the 13-year-old was what police termed an "historical" item from the teenager's bedroom, and not found at the murder scene.